Farmer's Hall or Finnish Hall on Sugar Island was built in 1925 on an acre of land donated by Frank Kuusisto. The Finnish Hall was once a central point for the Finns on Sugar Island, but today is used only as a warehouse. 1. Picture. Farmer's Hall or Finnish Hall on Sugar Island was built in 1925 on an acre of land donated by Frank Kuusisto. 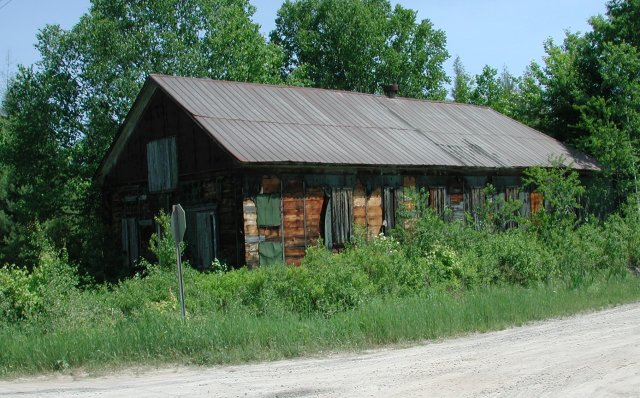 The Finnish Hall was once a central point for the Finns on Sugar Island, but today is used only as a warehouse. This picture was taken in 2003.